The announcement came first on NAILS’ Instagram Live. The following 24 contenders completed essay questions, a video audition, and shared their artwork. The applications committee had the difficult task of going through the many top-notch submissions to choose just 24. It was agreed that overall, the applicants for this year’s contest were among the strongest quality in our six year history. Our Top 24 come from all over, including Scotland, England, Canada, Greece, Denmark, Serbia, and the United States. 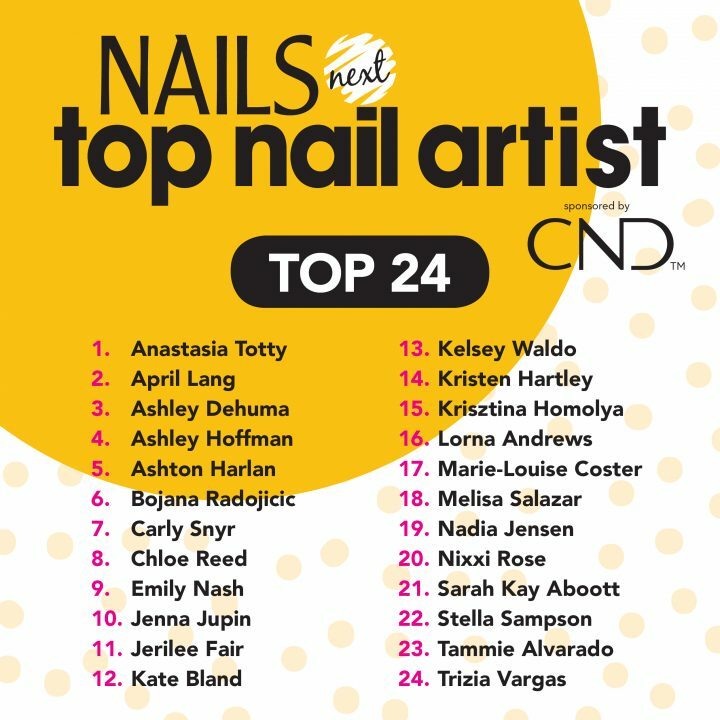 Two of the Top 24 are return finalists from Season 5 (Ashton Harlan and Jenna Jupin).